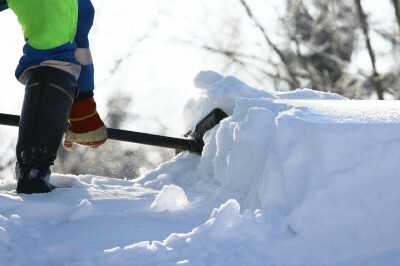 Top 4 Landscape Winter Maintenance Products - Legends Landscape Supply Inc.
Winter weather can be very unpredictable. You should be prepared with the necessary supplies in the case of a winter storm. Snow and ice on sidewalks, driveways and walkways can become very dangerous, very quickly, if it they aren’t tended to. Luckily, there are a variety of winter maintenance products for sale at Legends Landscape that can help you to maintain your property, and assist with the removal of snow and ice. Don’t get caught in a snow storm without enough road salt. At Legends Landscape, we offer bulk road salt to help ensure that you will have enough to complete your large-scale job. Rock salt, or sodium chloride, is the most common and cost-effective method of ice melting in Canada. We provide both regular and treated road salt in bulk orders, 24-hours a day. We even have a 24-hour salt hotline, for your convenience. Legends Landscape primarily carries bulk road salt called ECOSALT, which is treated with Geomelt 55. This treatment is concentrated beet juice, that is regularly used to treat bulk salt piles, in order to enhance the melting capabilities of regular road salt. You can maintain your property before the snow even begins to fall. Liquid salt can be applied to hard surfaces before a snowfall, to speed up the melting process, and keep the ground free of snow and ice. De-icers can help to effectively remove slippery ice and snow from sidewalks, roads, pathways and driveways, with ease. Simply spray the liquid salt directly onto the surface, or even mix it with your road salt. Adding liquid salt to road salt can further increase its effectiveness and ability to melt snow and ice at lower temperatures. Our team of experts can help you explore the benefits of liquid salt and how it can help. Contact us today for liquid salt and de-icers for sale in Burlington, Hamilton and Oakville! Homeowners can rest assured knowing that they have the products they need to keep their home property safe. Legends Landscape offers bags of salt and de-icers in smaller, more manageable sizes, too. These products can help improve shoveling and maintenance efforts following a snow storm. It can be beneficial for you to stock up on winter home maintenance products early in the season. Chances are that you won’t have to travel during intermittent weather for products, and can start removing snow and ice sooner rather than later. This can enhance the safety of your property, not only for you, but for pedestrians as well. Legends Landscape has the best deals and prices on salt and de-icers in Burlington, Oakville and Hamilton. You can save up to half the money on what you would spend at a large department store, while ensuring the safety of your home. Melting the snow and ice is only the first step in winter maintenance for your property or application. We have a variety of winter accessories that can help you to remove snow and ice, while providing protection from the elements. Does a liquid salt de-icer sound like the winter maintenance solution for you? The Earthway High Output Liquid Sprayer can help you apply it quickly and efficiently. The key to effective de-icers is applying the product before the snow falls, or as the snow begins to fall. For the ultimate snow removal system, inquire with our experts about outdoor heating and snow melting systems. You can eliminate the need for shovels, salt and de-icers by melting the snow and ice from the ground up. To learn more about our winter maintenance products for sale, in Burlington, Oakville and Hamilton, contact us today. Our experts can help you explore landscape care and maintenance products and techniques. Written on Friday, December 23, 2016.